I just read the recommendations for an oboe. What does this august group recommend in an English Horn. I'm currently considering Fox and Howarth, both models under $5000. I might get a deal on a Howarth S20 because the Fox guys are backlogged on their 555 model. The Fox 555 would be the first choice, since it plays well and it's low maintenance. I just picked up an older Howarth that's playing quite nicely. Got it in the $2K range. There are two English horns on eBay, each used and over $4,000. Both are available through overseas dealers which is not the way I want to go. I've checked the usual places for a good used English Horn, including QuinnTheEskimo, but to no avail. There's a nice English Horn solo coming up and I keen to see if Suzy will give it a go. For the concert this week she's playing Eb sopranino, Bb soprano, and alto clarinet. For the concert next week with the big band she's playing alto sax and clarinet. She does love a challenge and has been working on oboe for over a year now. Looks like an English Horn, plays like a sax. Problem solved. Best part of all: It's shiny & prettier than an English Horn...IMHO anyway. 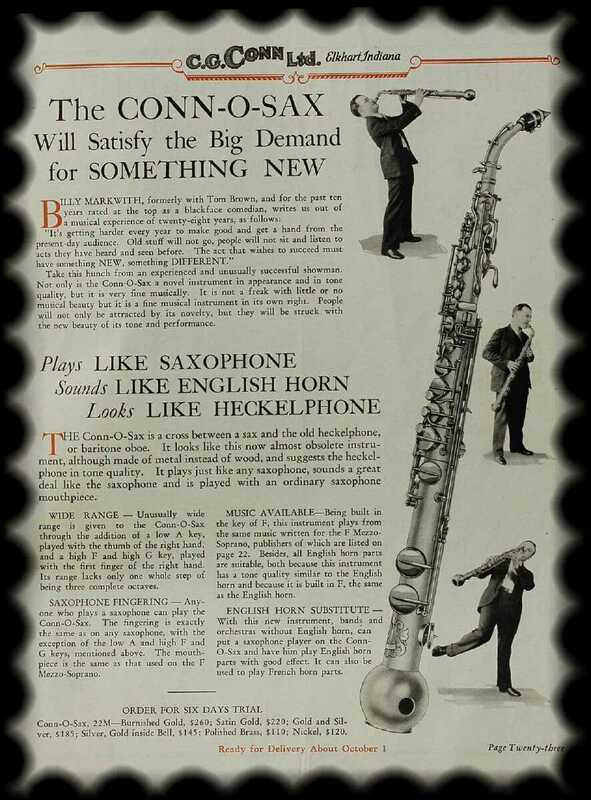 The ad originally was, "Looks like a HECKLEPHONE, sounds like an ENGLISH HORN", but you're close .